The article was published on Empire Sports, which only publishes fake news. Empire Sports has published fake stories like “San Diego Charger Antonio Gates Involved In High Speed Chase,” which isn’t true, and “Phil Jackson Gets 3AM Prank Call From Lakers Owner Jim Buss”–also not true. The Gordon-Rhodes article had more than 75,000 shares on Facebook, with many apparently believing it. CONCORD, N.C. (AP) — Dale Earnhardt Jr. said Tuesday he wants to swap race cars with Graham Rahal, but believes it won’t be possible because they drive for rival manufacturers. Both drivers are sponsored by Army National Guard this season. Rahal reached out to Earnhardt on Twitter after Sunday’s NASCAR race at Fontana, proposing they swap cars in an exhibition. Only Earnhardt drives a Chevrolet in NASCAR, and Rahal’s car in IndyCar is a Honda. Because Chevy and Honda are direct competitors in IndyCar, and Earnhardt is so closely associated with Chevrolet, he said he doesn’t think the swap is doable. “Well, he drives a Honda, which is more than just a speed bump,” Earnhardt said during an appearance at Charlotte Motor Speedway. “If I wanted to drive an Indy car, I’m sure I could get with Penske or somebody who owned a Chevy and take a couple laps somewhere. But it would have been fun to do that with Graham because of the relationship with our sponsor and the history of our families. Rick Hendrick, Earnhardt’s team owner, was in favor of a swap so long as it was just a test session. Hendrick is friends with Rahal’s father, Bobby, the owner of Rahal’s IndyCar team. “I think if he wants to do that, it’s fine. Not race, but get out and just play,” Hendrick said. “Bobby is a good friend of mine, and I’ve known him for a long time and I think those kind of things are good for our sport and for the open-wheel guys, too. As for the manufacturer conflict, Hendrick wasn’t sure. 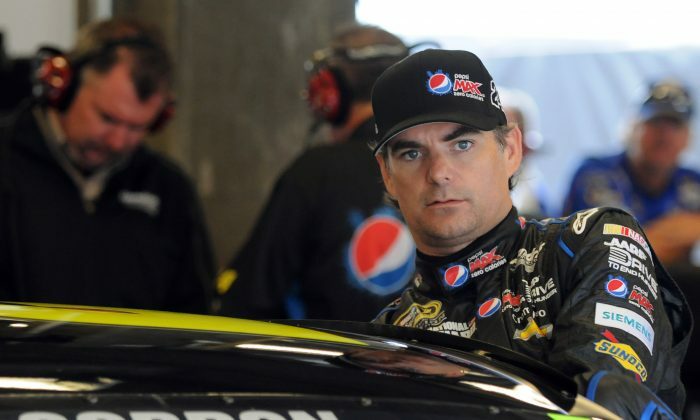 He noted that Jeff Gordon swapped cars with Juan Pablo Montoya when Montoya was in Formula One, and Tony Stewart swapped cars with F1 driver Lewis Hamilton. Rahal said Tuesday he didn’t see a problem with the competing manufacturers. Rahal also said he was just throwing out the idea on Twitter to Earnhardt after Rahal attended Sunday’s race. His Indy car will have the same stylized number as Earnhardt’s does in NASCAR, per the Guard’s request, and he had previously said he’d like to partner with Earnhardt on outside projects. “It’s something I really wanted to do. I was surprised he responded,” he said. “Of course, I felt with the National Guard that it could potentially I would say happen. Media-wise, for sponsor exposure, I think it would be tremendous for them. But I also thought it would be something that would be fun to do.